Attorney Ellen M. Kozak appears on Conversations with Renee – Thursday, September 3, 2009 @ 9:00 PM EST. Attorney Ellen M. Kozak practices copyright, publishing, entertainment, and media law in Milwaukee, Wisconsin. Her clients include publishers and literary agents as well as authors. Ellen is also an author herself-- FROM PEN TO PRINT The Secrets of Getting Published Successfully – and – EVERY WRITER’S GUIDE TO COPYRIGHT AND PUBLISHING LAW, along with two pseudonymous novels and more than 500 articles in publications as diverse as Travel+Leisure, Writer’s Digest, USA Today, Editors Only and The Journal of Information Ethics. FROM PEN TO PRINT was voted Best Book-length Work of Nonfiction for 1990 by the Council for Wisconsin Writers. 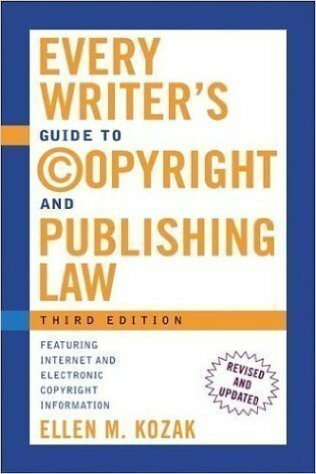 This book gives down-to-earth, easy-to-understand answers to questions like: What is a copyright? How long does it last? Can you inherit it? How do you determine who owns the copyright? What defines “fair use” of a copyrighted work? How can you determine when something is in the “public domain”? How is material on the Internet copyrighted? Now in its 3rd edition, this book by Ellen Kozak, herself both a writer and a media lawyer, answers these and other pertinent questions in clear, accessible language. For anyone involved in the book business—writers, editors, publishers, agents, lawyers, scholars, and even critics with questions about intellectual property—this authoritative and accessible disk reference is truly indispensable. This indispensable and eminently readable guide is a source of complete information for writers on the practical business of getting published, whether the medium is books, magazines, newspapers, scripts, or even greeting cards. It answers your questions about everything from queries and submissions to contracts, copyrights, galleys, copy editing, publicity, and much more. Ellen Kozak shows you how to deal with writer’s block and keeps you going with practical suggestions on developing ideas, choosing a writing course, and fighting procrastination. You will learn about publishing from the inside and find out how you can be a part of it, while preserving your rights and your sanity. 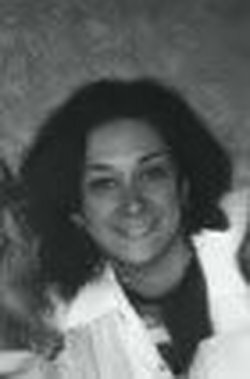 Ellen M. Kozak practices copyright, publishing, and media law in Milwaukee, Wisconsin. She is the author of nine books (some of them novels published under a pseudonym) and hundreds of articles that have appeared in publications as diverse as "USA Today," the "Wall Street Journal," "Campaigns & Elections," "Travel+Leisure," "Milwaukee Magazine," the "Milwaukee Journal Sentinel," "Toastmaster," and the "Fresno Bee," as well as radio essays for WUWM radio. Ms. Kozak is a frequent speaker on legal topics and on publishing and copyright law to groups around the country. She is a graduate of Barnard College and the University of Wisconsin Law School, and holds a Certificate in Law of the Media from the NYU School of Law. Her book "From Pen to Print: The Secrets of Getting Published Successfully" was named best Wisconsin nonfiction book of 1990 by the Council for Wisconsin Writers.